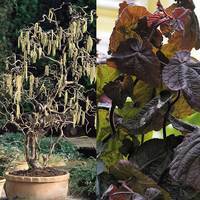 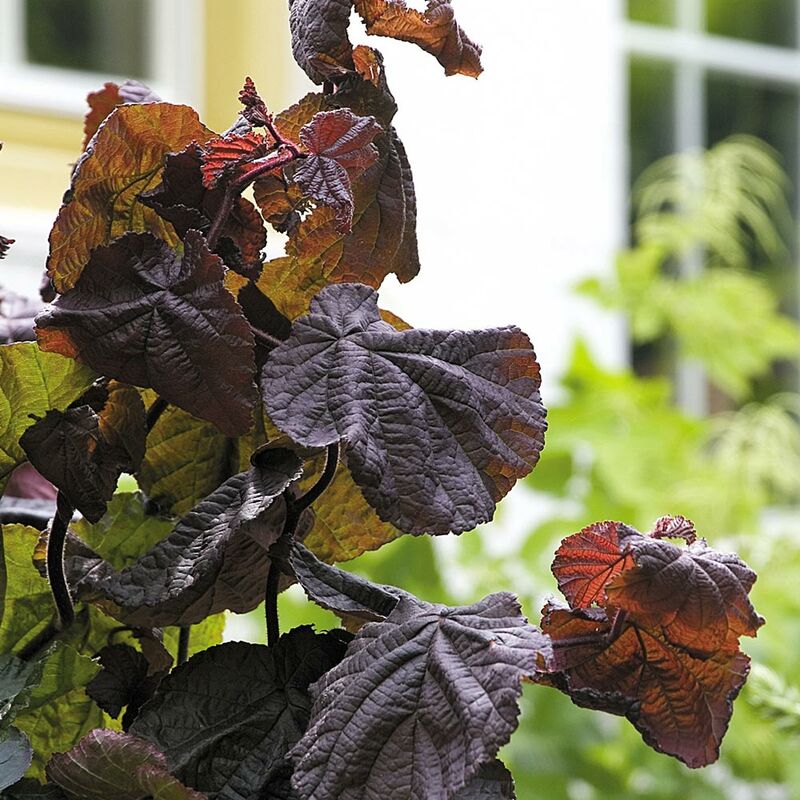 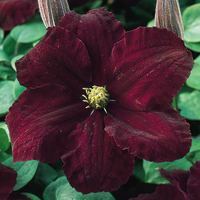 A slow growing shrub (height and spread 2-4m after 10 years) with deep purple leaves on twisted branches. 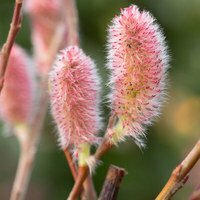 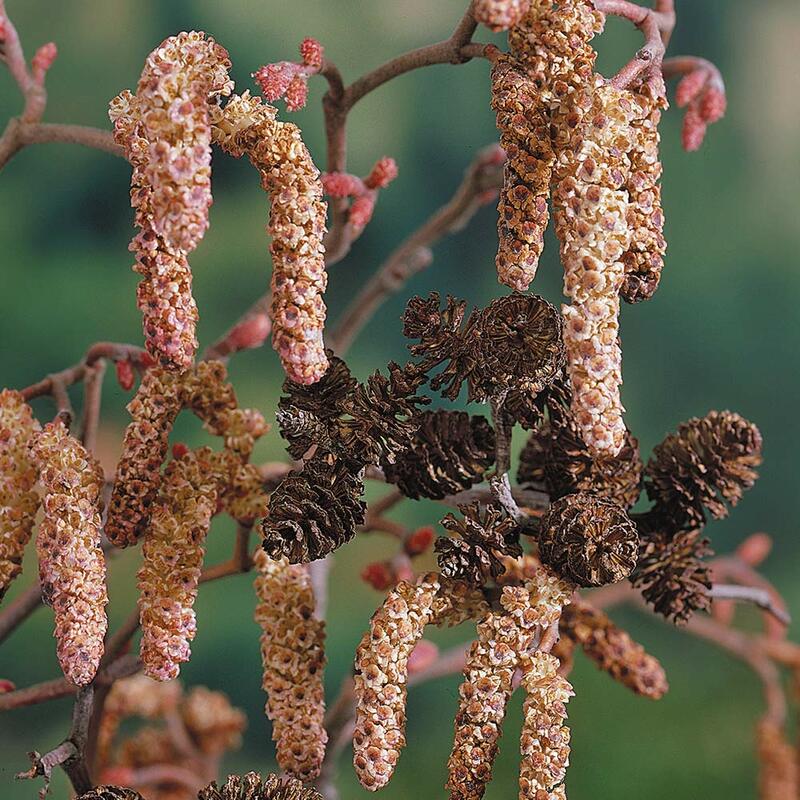 Produces a mass of purple-pink catkins in late winter. 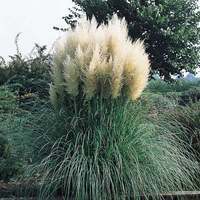 14cm pot plants supplied.